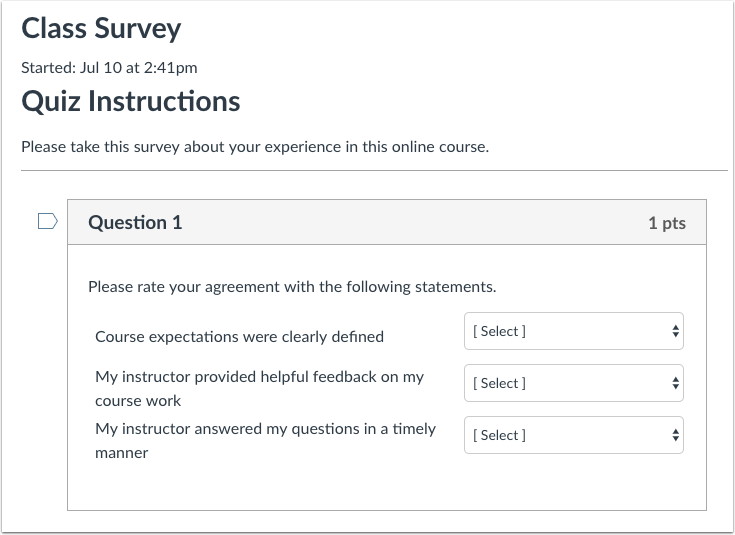 Your instructor may assign you a survey to complete in your course. 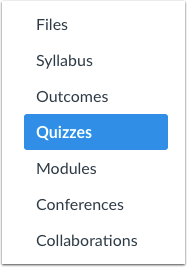 Surveys are non-graded quizzes that may be used to gather your opinion on a topic in your course. Note: Surveys are not currently supported in Quizzes.Next assessments. Click the Survey title to open the Survey. Click the Take the Survey button. Click the Submit Quiz button. Previous Topic:How do I know if I can retake an assessment in Quizzes.Next? Next Topic:How do I add and modify text in the Rich Content Editor as a student? Table of Contents > Quizzes > How do I submit a survey?